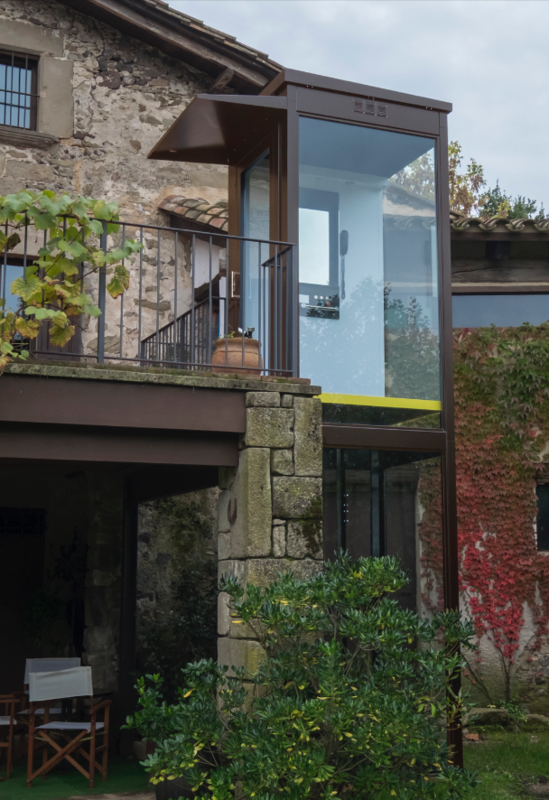 A vertical passenger lift platform with a travel speed up to 0,15 m/s designed to give access to people to the different levels of buildings (single family homes, commercial premises, public buildings, communities, etc). 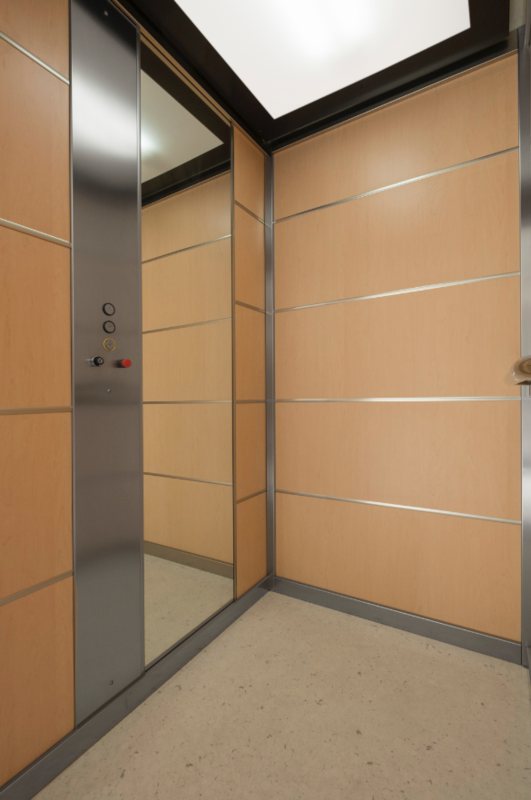 What is the difference between a lift or a home elevator and a convencional elevator? The exterior of both elevators may be identical, the major difference is always the speed is less in vertical lifts. In addition, they can also be without doors in the cab or even no side or roof. Can people in wheelchairs use the home elevator? Yes, if the size of the cab is sufficient so that you can access with a wheelchair. We recommend that the cab space is at least 1.200×800 mm. The Standard EN 81-41 defines all features that a lift for disabled people should have. Will the enier home elevator design fit with my house the style and deco? Yes. We have many possibilities for decoration and finishing, among which you can choose the one that best suits your preferences. 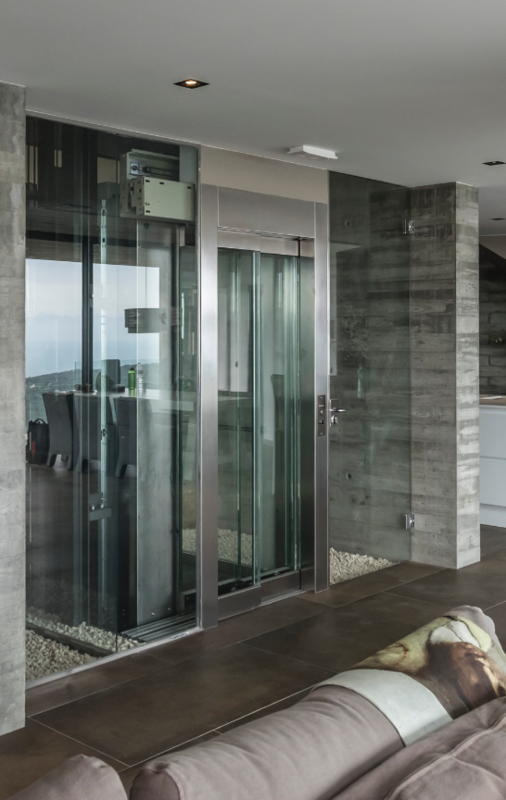 What advantages a home elevator has over a conventional lift? Among other things, lower energy consumption, low maintenance cost, more economical installation with quick and easy assembly without the need for an engine room, minimum pit (with ramp not even needed), lower height the ceiling of the top floor, and a modern, functional design. Where can I install a vertical lift, besides my own house? They can be installed in any building such as condominiums, shops, restaurants, offices, public buildings, etc., and can be for private or public use. Do I need to ask for a planning permission to install a home elevator? We can install the elevator with steel structure, in most cases no license is needed. If so, you should asl for a minor planning permission. Do I need a lot of space to install an enier home elevator? We adapt to the space available. 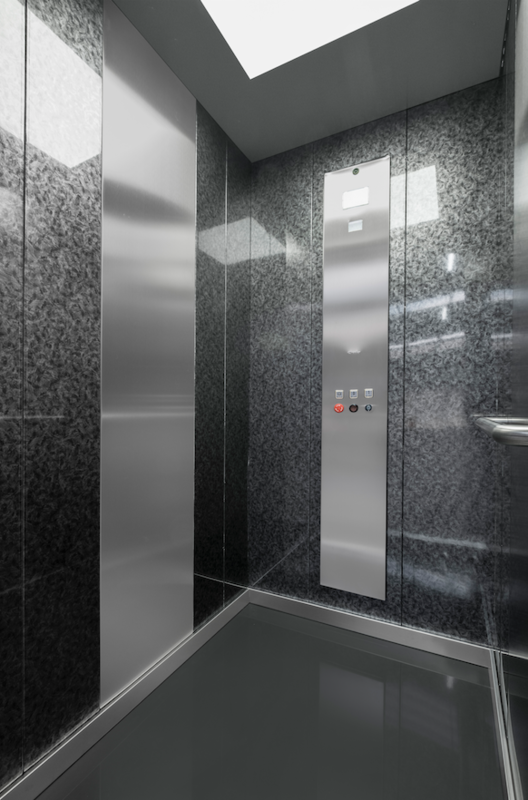 We can install an elevator with a metal structure in a space of only 760×1.000 mm. If you want to be sure about what is the solution that best suits your needs, please contact us and one of our technicians will go to your home to gladly inform you without obligation. Are the enier elevators approved and certified? 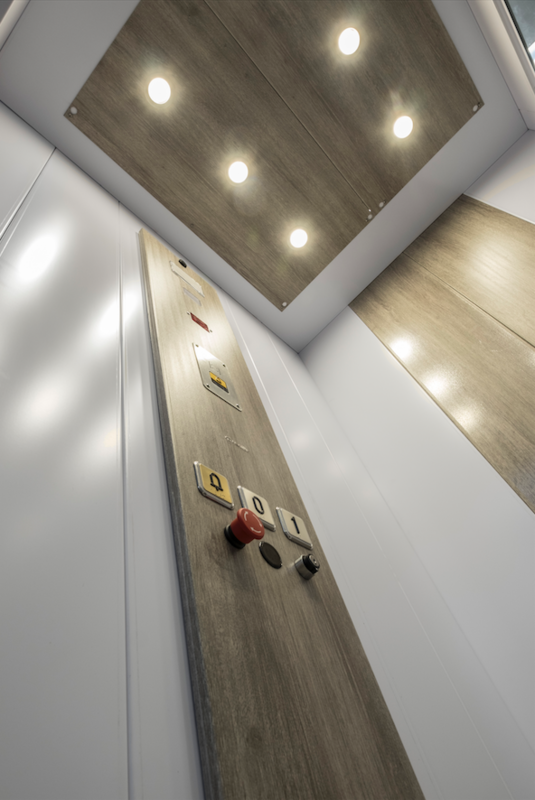 Yes, all enier elevators or lifts satisfy the current Machinery Directive 2006/42/EC of the European Parliament and the Council of 17 May 2006, and each comes with the mandatory CE Certificate of conformity and an instructions manual. What kind of maintenance must be performed on enier elevators? The frequency of maintenance will depend on the intensity of use of the machine. At least we recommend to make an annual maintenance visit, to review all the points specified in the user manual to ensure the proper operation of all safety devices and to extend the life of the equipment. Is the power of the government to legislate on the matter and impose other deadlines for intervention than those recommended by the manufacturer. What kind of power is needed for a lift or elevator to work? The panel can be fed with a voltage of 230 V single-phase or three-phase 230/400 V.
What kind of traction do the enier vertical lifts use? Traction is electro-hydraulic, with a 2:1 push ratio. What happens if the power goes down while I’m using the elevator? 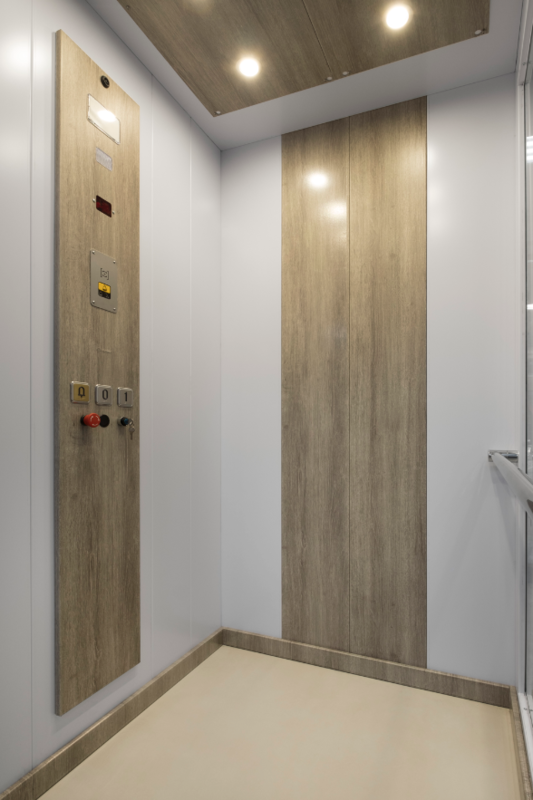 If there is a failure in the power supply while you’re using the elevator, it will stop, turn on the emergency lights and allow you to go down to lower floors. What’s the speed of a home elevator? The maximum speed is 0.15 m / sec, but depending on the configuration and route can be a little lower. What’s the power consumption of a home elevator? The consumption of a home elevator is similar to any home appliances. Are the enier lifts or home elevators noisy? The group hydraulic motor is submerged in the tank of hydraulic oil, so it hardly makes noise when in operation. Will be difficult to learn how to use my home elevator? Do not worry about it, because its use is quite intuitive. After the installation, our technicians will thoroughly explain how it works and if you have any doubt, remember that we are at your service. Can I get any financial help to buy my home elevator? Absolutely. Don’t hesitate to contact us to get more information. Is the purchase and installation of these machines subsidized in any way? 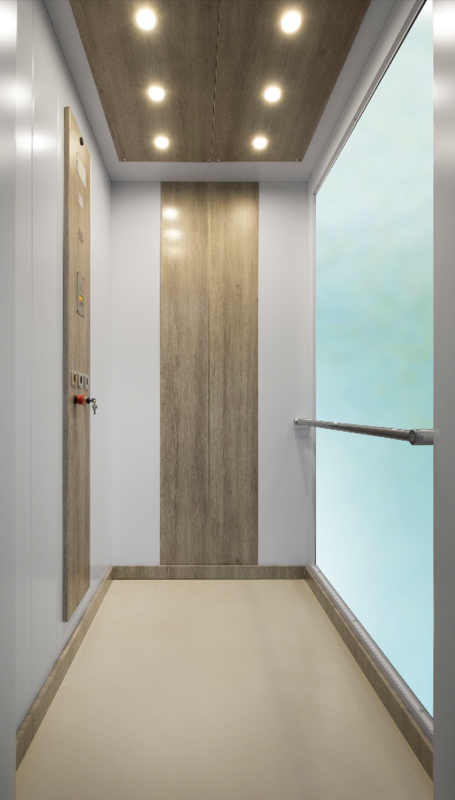 Depending on the situation, the status of the applicant and the regional or local regulations may be partially funded the purchase and installation of an elevator. Contact us and we’ll look into it. How long will the installation of the elevator take? 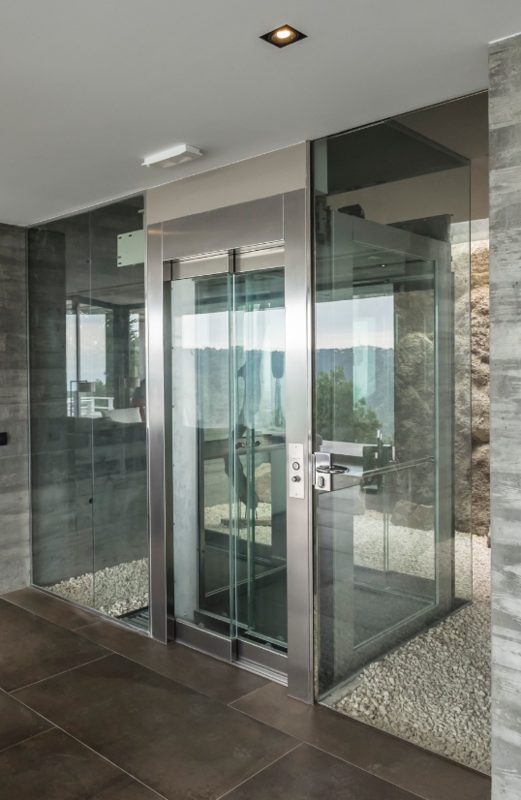 Depends on the characteristics of the installation, but as a general rule, the assembly can last from 3 to 6 days to have your elevator installed and ready for use. What is the delivery time for an enier lift or elevator? It is generally less than 12 weeks, but in cases of necessity and depending on the model and features, can be reduced to 2 or 3 weeks. What’s the warranty of my elevator? The enier elevators have a 2 year warranty covering defects in parts, manufacturing and assembly. The electrical panel and batteries are exempt from warranty. If I have a problem with my elevator, who will solve it? If you have any problem with your elevator, the enier service network has a technical team to assist you as soon as possible. 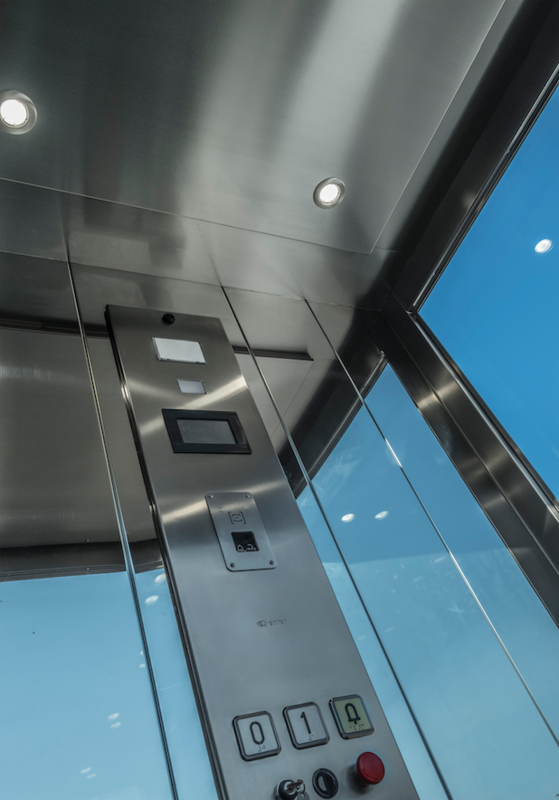 If I’m interested in an enier lift or elevator, how can I request a quote? Just call us or use the contact form that, once completed with your information, you will be forwarded to us. Immediately a technical sales representative will contact you and, after analyzing your needs, will recommend the best solution and will give you a quote without any obligation on your part.